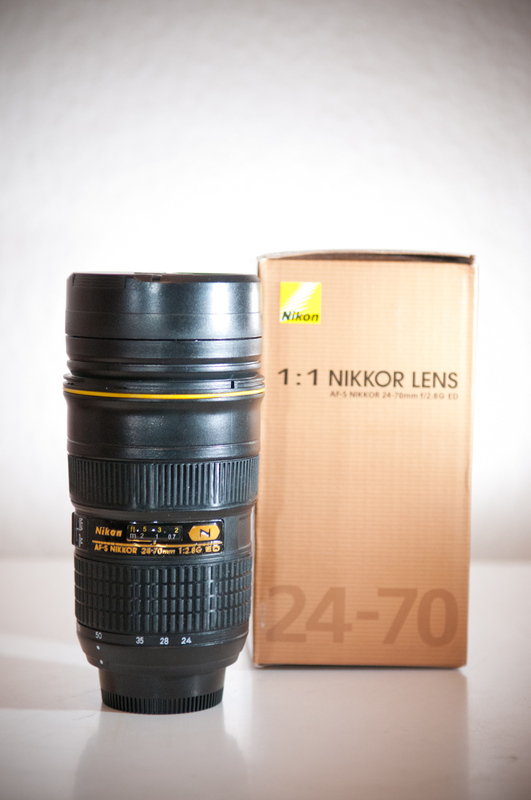 These are not recycled lenses – It is a 1:1 replica of the Nikkor 24-70 f2.8 lens (a very yummy but also expensive piece of equipment). 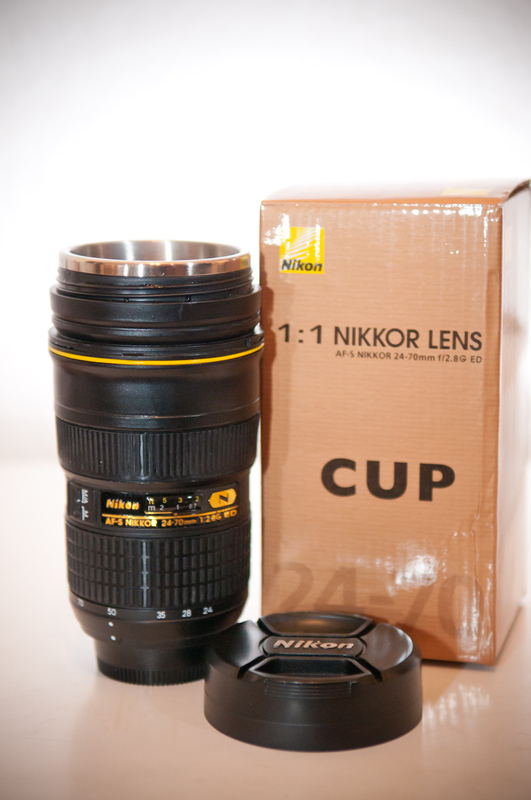 The cup however is not that cheap, too. I got mine at 100miligrams.com, with the item shipping from Hong Kong. I ordered two cups and with shipping each cup was 23 Euros. But as mentioned earlier, this is so geeky that I absolutely HAD to have this 🙂 The interior of the is stainless steel and the screw-on lid has a rubber seal, so accidental spills can be avoided. 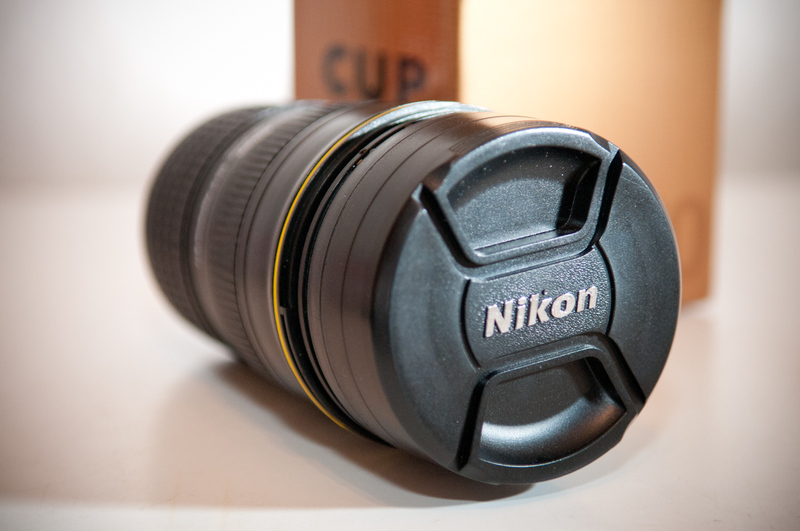 Needless to say that it is a thermos cup because of the air between the stainless steel and the outer shell. 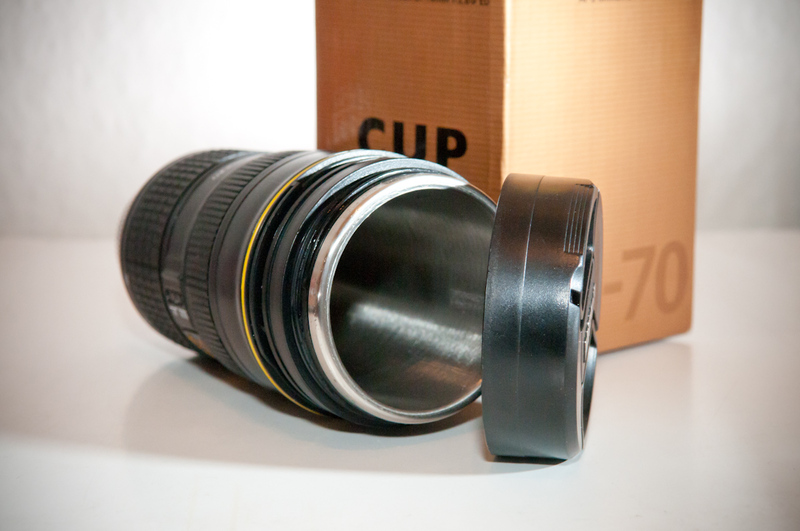 By the way: The cup is also available as Canon lens replicas – Canon EF 70-200mm and the 24-105mm.